The old saying is, "no hooves, no horse" - or words to that effect. 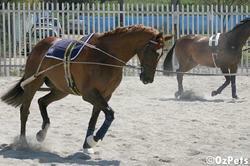 The average pony weighs upward of 200kg, and the average horse more than 400kg. All that weight has to be supported, and it all ends up resting on the hooves. Once you put that little detail in perspective, its easy to see why good foot care is one of the most important aspects of horse and pony ownership. The hard parts of the hoof, mainly the wall, sole and frog, can be basically likened to our fingernails. So although the outer layers are insensitive, the inner and base layers can be very sensitive indeed. To have some idea what it must feel like when a pony has a crack in its hoof, just imagine the pain which occurs when you split your own fingernail, and then imagine putting a 50kg pack on your back and standing on that finger! Another consequence of the hoof wall being basically like our fingernail is that it grows all the time. For this reason, hoof care requires constant vigilance. One of the most important decisions to be made on foot care is whether to shoe or not. This will depend very much on individual circumstances. A pony which is worked a lot, particularly on hard ground, will wear down the hoof faster than it grows, leading to soreness. If ponies spend much of their time on wet ground, the dampness will often soften the structures of the hoof making them more sensitive. In these situations, ponies must be shod. 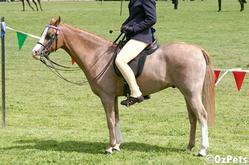 Also, some ponies have feet with poor conformation which require shoeing to bring them back to a more natural shape. Regardless of whether the pony is shod or not, it needs attention from a farrier on average every six weeks. For the shod horse, this is when the shoe needs to be replaced. For the unshod horse, the feet still need to be trimmed every six weeks to prevent the hoof wall from growing too long and putting the joints of the leg out of alignment. The consequences of not trimming regularly include hoof cracks, foot infections and arthritis in the joints. Apart from the regular visit by the farrier, hooves need home care as well. A daily check and clean out is usually all that's required. All you have to do is pick up each of the four feet in turn and clean them out with a hoof pick. You can get your vet or farrier to show you how to do this properly. Check for any cracks, foul smell or unusual discolouration as these can tell you that something is wrong. Also, check for loose nails or shoes which may indicate that your pony needs reshoeing. If in doubt, contact your vet or farrier as they can tell you whether it is something which requires attention.